There are 2 steps for installing the plug-in. I’ve done my best to describe these with screenshots to help as much as possible. 1. Use the download link above to download the LATEST version of the plug-in. These instructions only apply to the latest version! 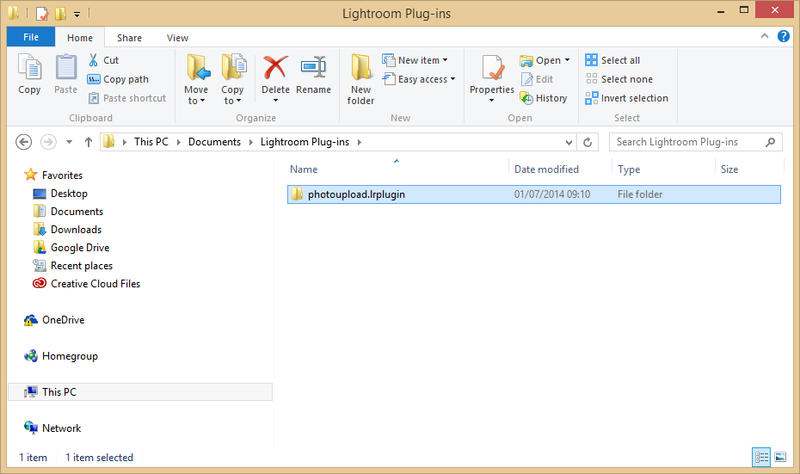 Open the downloaded Zip file and copy the top level folder named “photoupload.lrplugin” from the Zip file into the folder you have just created. 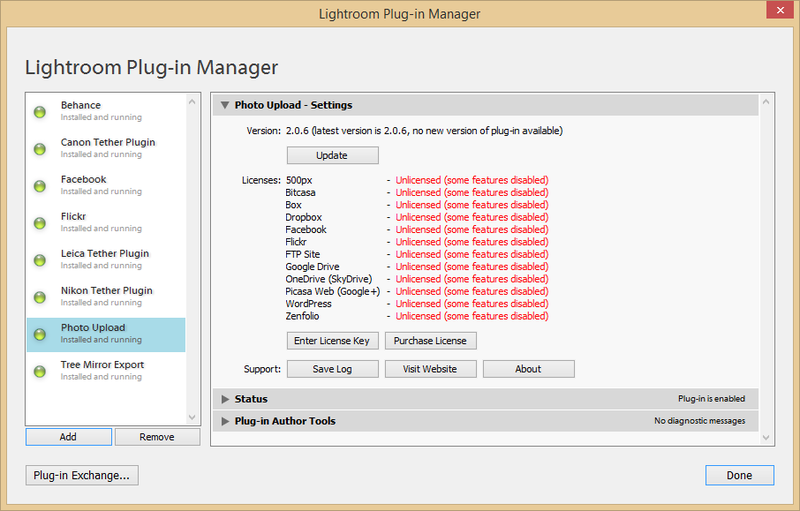 Note: Don’t rename the photoupload.lrplugin folder as Lightroom requires the folder have an extension of lrplugin. Extract the downloaded Zip file. 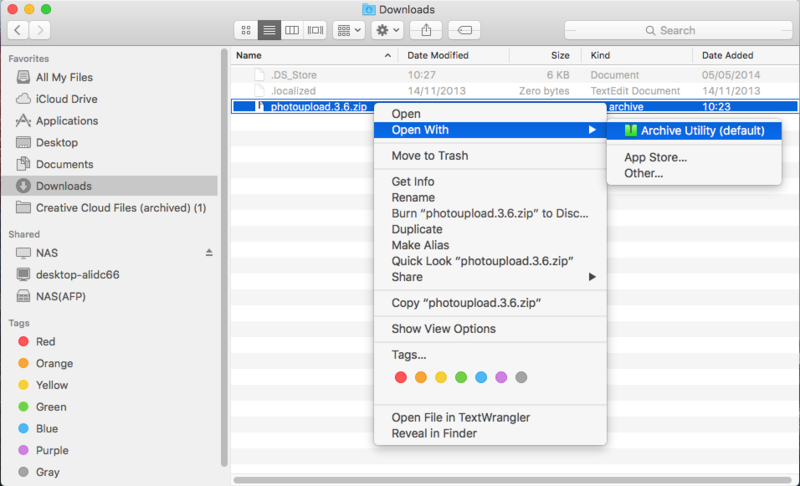 You can do this by right-clicking on the zip file, choosing Open With and then Archive Utility. This will extract it the *.lrplugin folder from the Zip file into your Downloads folder. 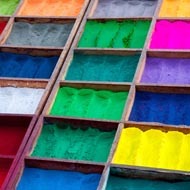 Copy the extracted folder, “photoupload.lrplugin” (i.e. not the file ending in “.zip“), into your Applications folder. Installing a plug-in within Lightroom is relatively simple, but there are a few points to look out for. Follow the steps below to perform the installation. 1. 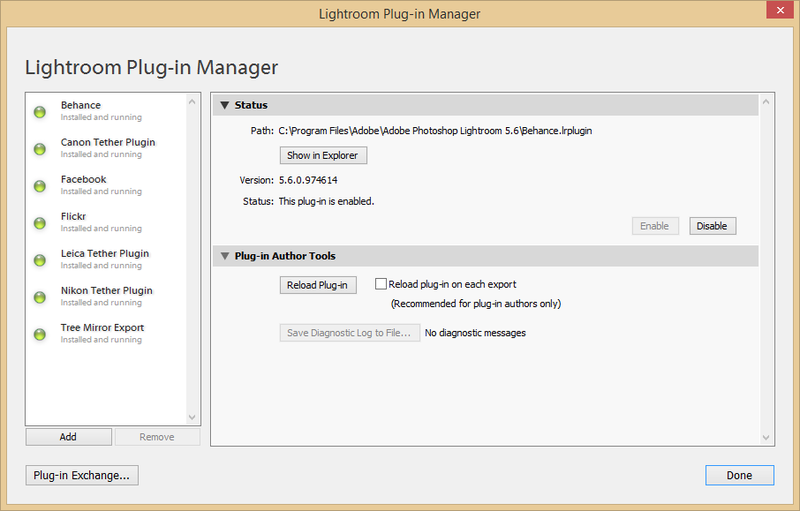 From the File menu in Lightroom, select “Plug-in Manager…”. a. Click the “Add” button (in the bottom left corner). b. 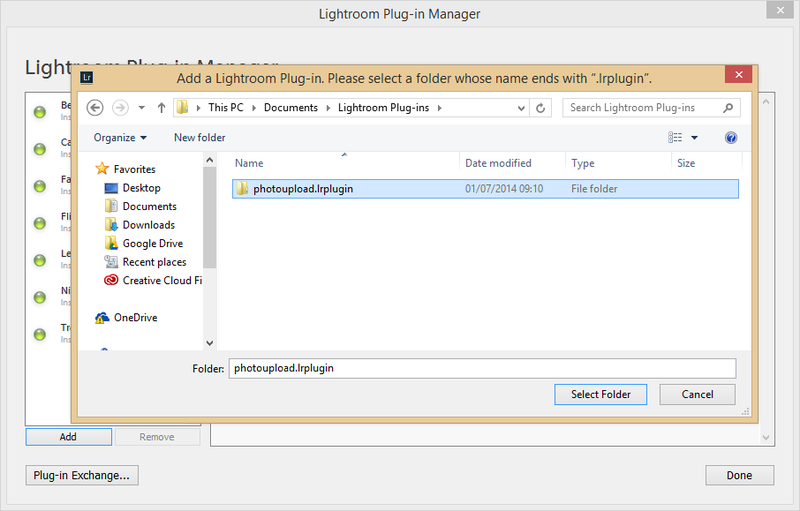 In the selection window, select the plugin folder, “photoupload.lrplugin“, that you extracted from the Zip file earlier. 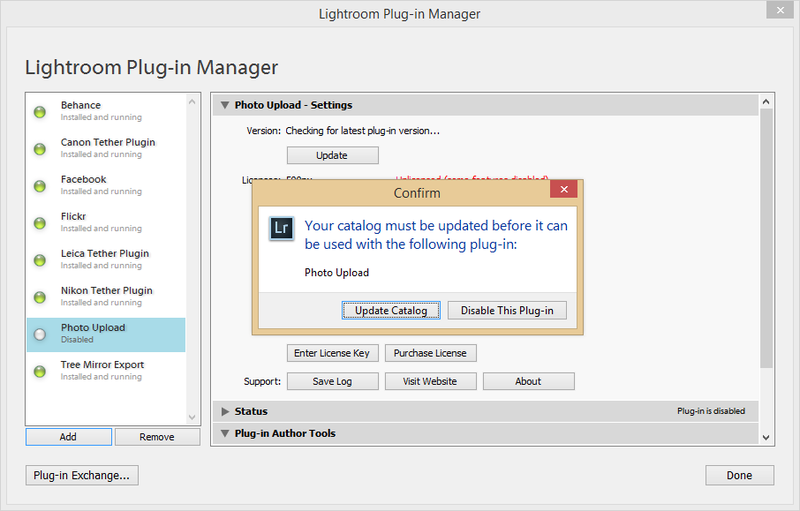 c. Lightroom may ask you to update your current catalog. (The plug-ins need to update your catalogs so they can store some extra information within them for each photo you upload.) You should allow this to happen by selecting “Update Catalog”. d. When your catalog has been updated you will see the plug-in appear in the Plug-in Manager. e. Finally, click “Done” in the bottom right of the window to close the Plug-in Manager. If you have any trouble with the plug-ins, please refer to the Support FAQ page.